There is an alarming situation in the medical world: an unparalleled increase of available information, compounded by an unprecedented shortage of medical specialists. 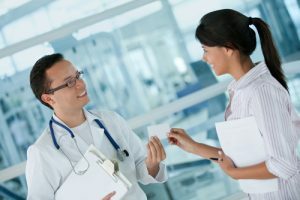 According to a report by the World Health Organisation (WHO), there will be a shortage of 12.9 million workers in the health-care industry by 2035. For comparison, in 2013, the shortage stood at 7.2 million. This gap will probably not be closed by humans alone, therefore, technology seems like a viable alternative. It’s not about replacing doctors and nurses with computers, it’s more about helping them make sense of the data oceans available and freeing up their time from repetitive tasks that are time-consuming and have no added value. 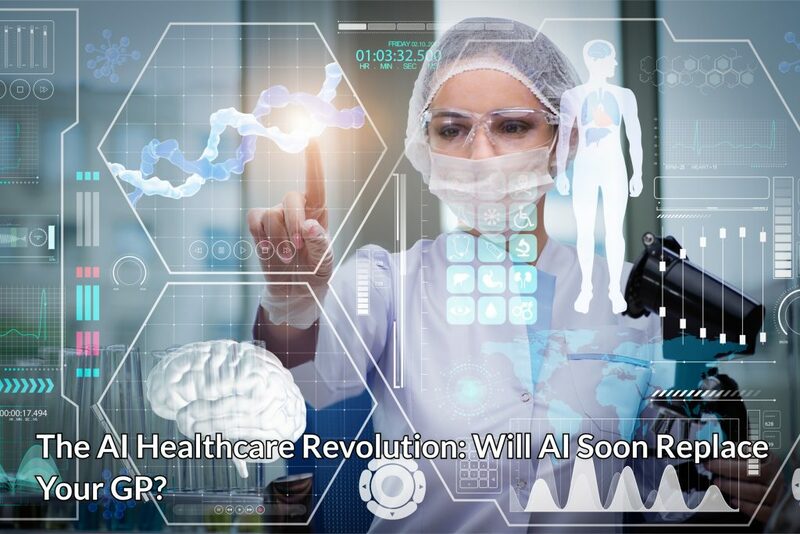 The AI healthcare revolution will impact both patients and providers, and AI will become a reputable ally in the war against diseases and chronic illness. Since the development of better search engines, patients have looked for faster ways to learn their diagnosis or treat themselves. 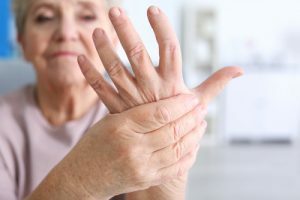 This was a result of overcrowding at the doctor’s office that usually led to patients being unable to schedule appointments for days or weeks. Using a general search is detrimental or even dangerous, but dedicated healthcare solutions are being developed, and some of them have over 95% accuracy rates in suggesting a correct diagnosis in minutes. These use natural language processing and generate responses following templates. Coupled with machine learning, they can create a user profile and give actionable and tailor-made advice. One initiative is Your.MD which can be installed on a multitude of platforms, and using it feels natural. The extensive data base is made complete with advice to see a doctor, and all the information provided has been verified, at least in the UK. 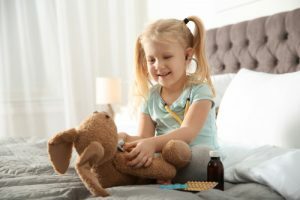 Other similar bots include Ada which learns about the patient and uses Alexa voice controls and Babylon Health which can set up a video call with a GP. AI is praised for its ability to recognize patterns in various types of data. Pictures, scans, and X-Rays are great raw material for putting the intelligence to work, like in IBM’s Medical Sieve project. The algorithms can be trained to detect cancerous tumors, read brain scans or EKGs. Since the training of neural networks can be done continuously, a program is able to learn much faster than a radiologist and can digest significant quantities of information, including outlier cases that are very unlikely to be found in general activity. Sometimes the biggest obstacle between people and improved health is their inability to stick to an individual regimen or consistently follow treatment. Most of them could use a nurse to remind them to take medication and to check on their dietary choices regularly. This is unfeasible in most cases, but a digital nurse could easily increase their prescription adherence rates. Such an app is AI cure, focusing on compliance with clinical trials and general health. Advancements in text and sentiment analysis used in marketing can prove useful after repurposing. Identifying speech patterns that are common to patients suffering from schizophrenia or other mental disorders early on could improve their chances of getting help and living a healthy life. It is also worth mentioning that most people feel more comfortable sharing their most intimate problems with a software program than a real person, even a doctor. Algorithms don’t get tired or emotional, they just get smarter with every new case they learn about. Starting with this observation, AI is already becoming as good as reputable doctors in finding clues to diseases and even suggesting treatments. There are a few ways this could translate into a qualitative improvement. Health provision should be standardized and at least for common diseases, rule books of good practices should be the norm. Collecting data about a patient’s history, diagnosis, treatment and success rates can help create such directories. Identifying under-performers and the most successful approaches are also side effects of such an approach. By learning from top performers and highlighting the difference between a lucky guess and actual better practices, this can translate into a uniform way of treating diseases. 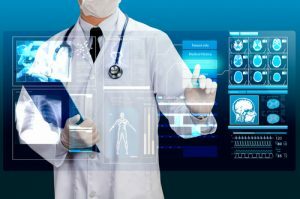 Testing and patient monitorization are costly. 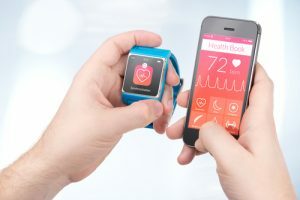 Technology can not only speed up these processes but provide constant observation of the patient while suggesting slight improvements to avoid dangerous situations like a sugar spike or high cardiac rhythm. All these small changes translate into more time for doctors, fewer supplies used and an increase in the quality of life. Telehealth is becoming a reality, and the implications are twofold: for people with no access to healthcare, this is a matter of survival, while for providers of such services it is a way of scaling services with minimal additional costs. The Holy Grail of modern medicine, mapping the human genome, is closer to being attained through AI. The diversity of the genes and the complex patterns they create are soon to be matched by the computational power of the machines driven by Big Data. Sequencing the genome means getting access to the library of life, being able to predict the health risks and counteract them before they even have a chance to manifest. Diseases follow patterns, and it will be AI’s job to uncover these and fight back with either existing substances or new ones. The ability to generate and test scenarios can also be useful in speeding up the process of drug testing and approval. We are far away from independent AI that can take decisions like a well-trained physician. The current state is more a mix between a careful nurse and a smart resident, which is still a lot more than most people have access to, especially in the middle of the night or in remote areas. As Open AI becomes a reality, there is another war to be fought, and it will be between people’s perception of AI and its capabilities. To take full advantage of the technology, the algorithms need access to very personal data, and the privacy concerns are not to be disregarded.